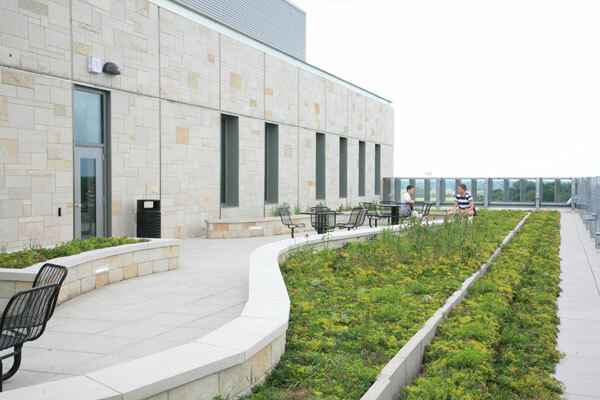 The LiveRoof Standard vegetated roof system is an extensive and semi-intensive, modular, pre-vegetated assembly. At 108 mm (4.25 in.) in depth, it is ideal for most applications and offers a blend of esthetics, stormwater management, biodiversity and value.